Protect your rifle scope from natural hazards. 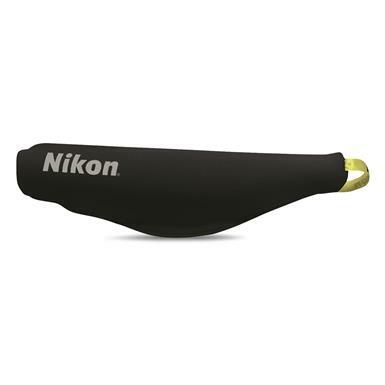 Give your rifle scope proper protection from harsh outdoor conditions with a Nikon ScopeCoat Rifle Scope Cover. Thick, 6mm neoprene shields your scope from moisture, dings and scratches. Designed to fit rifle scopes with 50mm objective lens. The outdoors can be unforgiving, so make sure your equipment has the protection it needs to maintain the performance you expect.